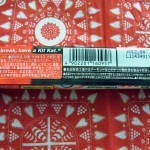 Review: Kit Kat Bitter Strawberry Bar | Oyatsu Break! 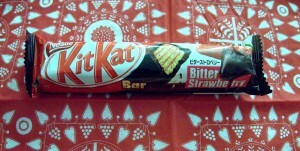 So bitter strawberry! 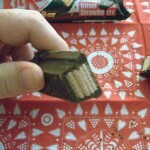 In Japanese candy production, “bitter” is code word for dark chocolate, and “dark” seems to be code for just slightly darker milk chocolate. I’m always happy to see slightly more complex candy flavours making their way to store shelves, and so I was excited to see the folks at Nestle combining their popular go-to strawberry flavour with their recently successful Adult Dark Chocolate to create a new snack. So let’s see if it lives up to its promise? 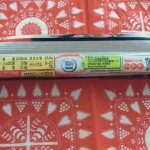 Taste: It held up really nicely actually, despite butting up against the expiration date and travel mishaps. 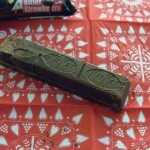 The dark chocolate is strong and surprisingly rich, but still has a nice sweetness. All of the chocolate coating is dark chocolate with no other flavours mixed in, meaning the first taste on the tongue is just the slightly bitter dark. If you’re a ‘real’ chocolate afficiendando, this is closer to a 60% or 70% cocoa bar than some of the truly intense dark chocolates, but it’s definitely tastier and more complex than the standard Nestle milk chocolate. 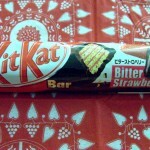 The strawberry flavour is contained entirely in the cream, sandwiched between the Kit Kat wafers. 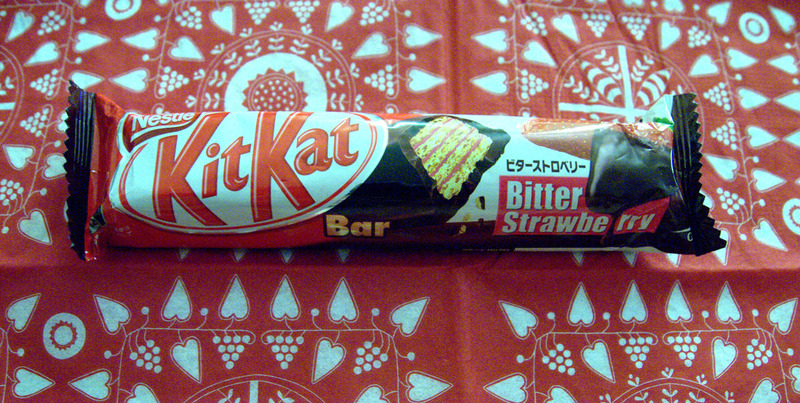 On its own it’s incredibly sweet, but taken as a whole bite the bar starts off bitter and not very sweet because of the chocolate coating, and then finishes very balanced with a near-piercing sweet strawberry aftertaste. Verdict: It’s rare that I say this, but this might be a perfect bar; by the time I was finished eating it I felt totally satisfied. Unlike, say, Cheeza crackers that I want to keep eating indefinitely, and some of the other chocolate I’ve tried here at the site that I fight to get through, the last bite was exactly as much as I wanted. 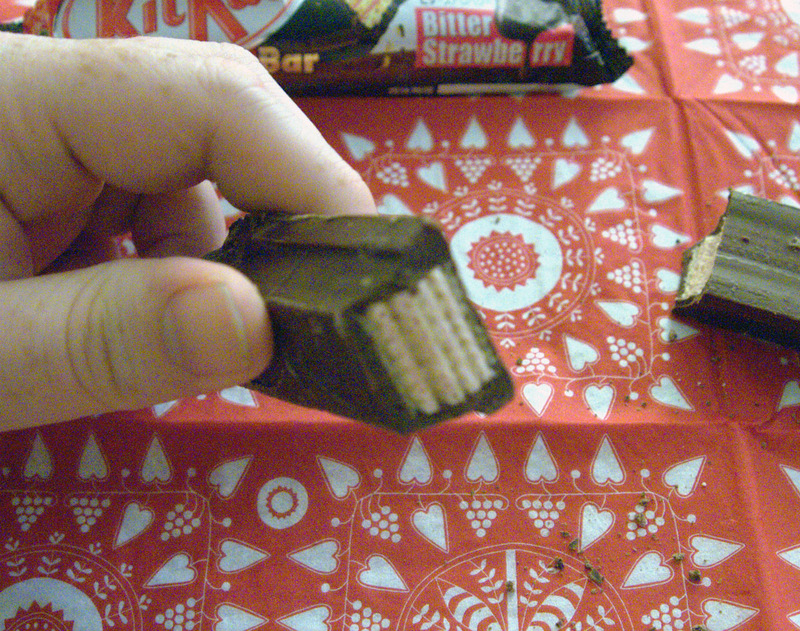 But maybe I shouldn’t go so far as to say ‘perfect’, the flavour didn’t blow me away or anything, but it was a nice bit of chocolate and strawberry, and it tasted exactly as I expected. A very solid execution, and I’m glad to have tried it, but I doubt I’ll add it to the rotation. Still, it’s worth a try if you come across it!